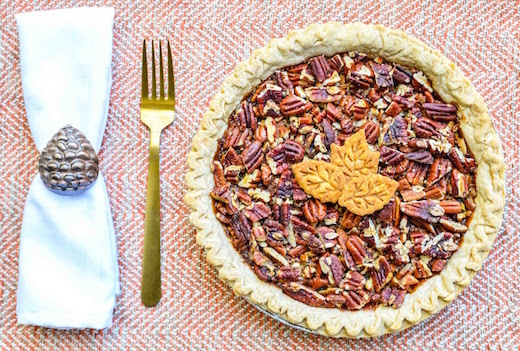 No corn syrup, loaded with Golden Blossom Honey, baked pecans and a crispy crust. Cook butter, sugar, salt and honey in the top of a double boiler until sugar is dissolved. Do not let water touch bottom of the upper half of the double boiler. Beat eggs well and slowly add to hot mixture, stirring continually. When well-blended, cover and simmer for 10 minutes. Remove cover, stir thoroughly and cook 10 minutes more. Remove from heat and beat in the top of the double boiler with an electric mixer until thick and blended. Add rum and pecans. Pour into pie shell. Place pecan halves lightly on top of mixture. Bake in preheated 325° oven for about 50 to 60 minutes or until pie tests done.